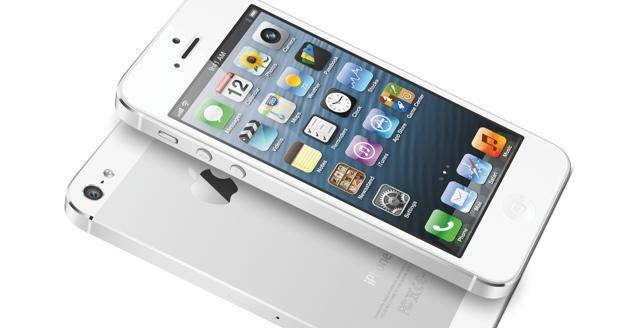 Apple just unveiled the long-awaited iPhone 5 to mixed reviews. There were no surprises, positive or negative, seemed to be in line with previously leaked information. The launch seems to have met market expectations, as Apple's stock price moved about by about 1.4%. However, the iPhone 5 faces some a challenging competitive environment in certain key geographies. Let's take a brief look at these challenges. Recent surveys have shown that Apple's public perception took a hit after the Apple-Samsung verdict was announced. The publicity garnered by the iPhone 5 launch should more than make up for that hiccup. In terms of the product choices made by Apple, I can't help but think that the iPhone 5 was a defensive move. According to a recent Strategy Analytics survey, consumers preferred phones with screen sizes ranging between 4-4.5 inches. However, Android users tended to gravitate towards larger screen sizes, while iPhone users preferred smaller screen sizes. Based on this, it is quite obvious that Apple was wary of alienating its existing user base by increasing the screen size beyond 4 inches. Apple could have chosen a more aggressive strategy by launching an upgraded iPhone 4S and an iPhone 5 with a larger screen, for example, to take on competition more effectively, but decided to take the more conservative route. The United States is Apple's largest market by revenue, contributing more than 40% to sales. It is also their iPhone stronghold of sorts, as it is one of the only remaining markets where they are a strong no. 2 smartphone platform, in terms of market share. The US is also one of the most saturated smartphone markets in the world, as smartphone penetration has already crossed 50%. As smartphone penetration rises, it becomes more and more difficult to maintain growth momentum by acquiring first time buyers. As a market matures, the only way to maintain sales growth is to grow market share, by acquiring customers from competitors. With the iPhone 5, Apple should have no problem retaining current users, but their product choices won't exactly help in poaching buyers from competition. Europe is Apple's second largest market for Apple, contributing roughly 30% to overall revenue. Unfortunately, the iPhone has lost a lot of traction in Europe over the last year, while Android has steadily gained market share at its expense. While a lot of this can be explained by macro-economic weaknesses and carrier subsidy support in certain countries, these dynamics are unlikely to change with the iPhone 5 launch. China is one of Apple's largest markets, after USA & Europe, and arguably their most important market. In Apple's last quarterly results; we saw that iPhone sales had crashed in China because of an inventory build-up during the iPhone 4S launch in the previous quarter. Numerous analyst firms also reported that the iPhone's market share had crashed during the quarter. Since, the iPhone 4S was just launched in the previous quarter, this slowdown could not have been caused by the iPhone 5. The main reason for this seems to be the perception of the iPhone as a "luxury brand" in China. Chinese consumers tend to be more price-sensitive that those in developed markets, which is why low cost Android OEMs have such a strong presence in the country. The iPhone's pricing structure could make it difficult to grow the user base beyond high income consumers, as growth is expected to be driven by sub-$200 Android devices. The only other trigger to grow iPhone sales in China would be to make it available on China Mobile, the country's largest carrier. Unfortunately, the iPhone 5 seems unlikely to be launched on the carrier anytime soon. Conclusion - Despite mixed reviews, analyst expectations for the iPhone 5 are currently sky-high and, at times, quite unrealistic. While Q4 could be a blowout quarter for the iPhone 5, a look at the competitive & industry structure in key markets shows that Apple may struggle maintaining sales growth in the following quarters. The continuous mobile application development sydney and all over the world is, I think, the main reason why there's also an endless production and remodeling of mobile phones and gadgets. It's a good news to everyone.